All five chambers of commerce in Yorkshire have said they are open to a county-wide devolution deal “in principle”. In a joint statement, the chambers said they welcomed the commissioning of an independent economic review of “spatial” options for devolution and said the existing devolution deal for the Sheffield City Region could act as a “precursor” to a wider deal. The 18 councils which backed a Yorkshire-wide proposal submitted to government in March have commissioned the review, which is understood to have a three-month timetable. Only Sheffield City Council and Rotherham MBC, which are both part of the Sheffield City Region, did not formally join the other leaders in voicing public support for the proposal at the time, but the submitted agreement does allow for them to join at any time. Sheffield City Region mayor Dan Jarvis MP (Lab) campaigned for the ‘One Yorkshire’ deal ahead of his election in May. The chambers said there had been “significant” debate over the correct geography for a devolution deal, with “some agencies” supporting the Yorkshire-wide proposal and others preferring models aligned with city regions. The chambers also asked for clarity on potential timescales for devolution “as uncertainty around the issue is causing consternation amongst business leaders in some areas of the county that feel they are now missing out compared to other areas of the country”. They added that business groups have asserted that a devolution deal may also include powers transferring from “local and sub-regional entities” into a strategic regional entity. They said it must be recognised that areas neighbouring south Yorkshire, such as Worksop in Nottinghamshire and Chesterfield in Derbyshire, are an integral part of the region’s economy. Sheffield chamber chief executive Richard Wright said any changes to the Sheffield City Region deal would have to show significant benefits and recognise the city region “transcends old county political boundaries”. The housing and communities secretary has been criticised for his intransigence on discussing devolution plans with Yorkshire leaders. Councils’ ability to deliver economic development and growth are being “eroded” at a time of greatest need, the Institute of Economic Development (IED) has warned. Growth in the West Midlands is strong. The size of the regional economy has increased by 20% over the last five years. England’s directly-elected mayors are jointly calling for the devolution of more powers and funding over skills. 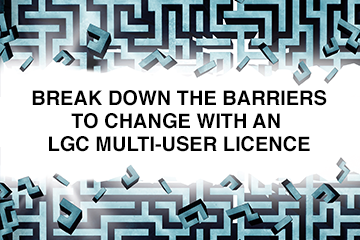 The latest rows about reorganisation and the current state of play in each two-tier area has been uncovered by LGC research.